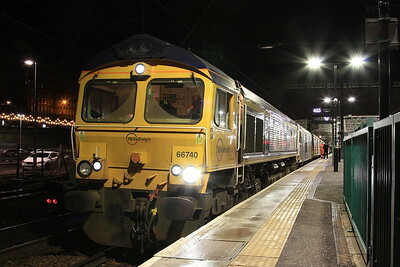 Fancied another haggis supper so leapt to Helensburgh again, this time for 66740. Nearly had a mare when the guard wasn't going to let me on as I didn't have a reservation (you can't get one from Helensburgh for some reason), and seemed oblivious that you don't need one to get on as it's an open train to Edinburgh, but fortunately he relented so all was well. The 73/9's are still only providing ETS at the moment until the alternators have been replaced so the 66's power the train solo. 90045 was the engine South which is one I haven't had for donkeys years. 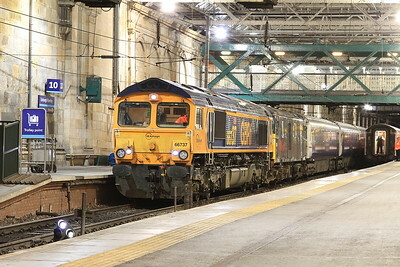 66740 + 73969, Edinburgh Waverley, 1B01 19.00 Portion ex Fort William - 02/12/16. 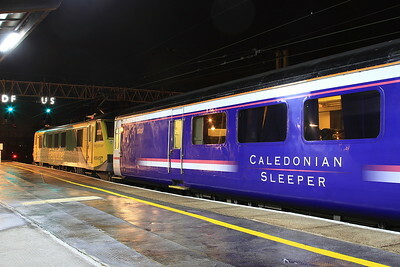 47739 (Sleeper Thunderbird) stabled at Edinburgh Waverley ..... 66737 + 73971 have just arrived on 1M16 20.44 Inverness-Euston - 02/12/16. 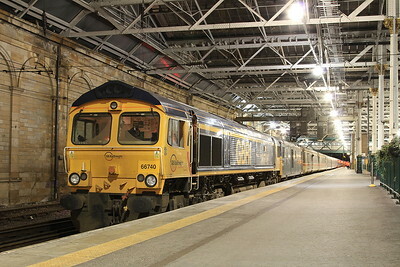 66737 + 73971, Edinburgh Waverley, 1M16 20.44 Inverness-Euston - 02/12/16. 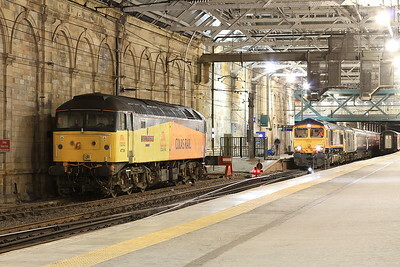 66740 + 73969, Edinburgh Waverley, joining up 1B01 19.00 Portion ex Fort William & 1B16 21.43 Portion ex Aberdeen - 02/12/16. 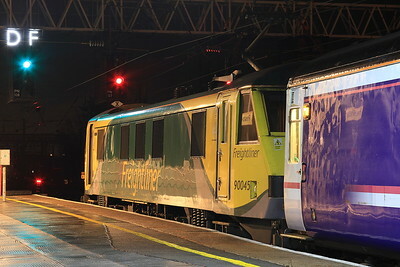 90045, Preston, 1M16 20.44 Inverness-Euston - 02/12/16.